With some cities already planning to ban internal combustion engines in the coming decades, carmakers are now setting the foundation for electric vehicles. 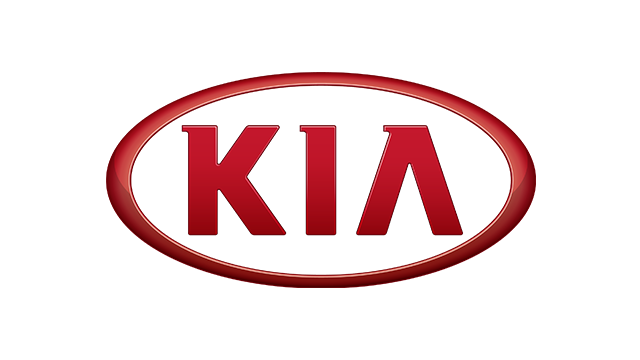 Kia revealed that it plans to commercialize Level 4 autonomous cars by 2021, include 16 electrified vehicles in its lineup by 2025, and have every model connected by 2030. 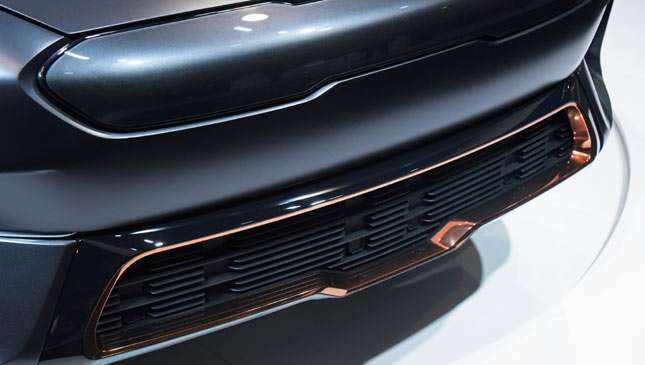 The Korean carmaker's latest concept gives us a little taste of things to come. 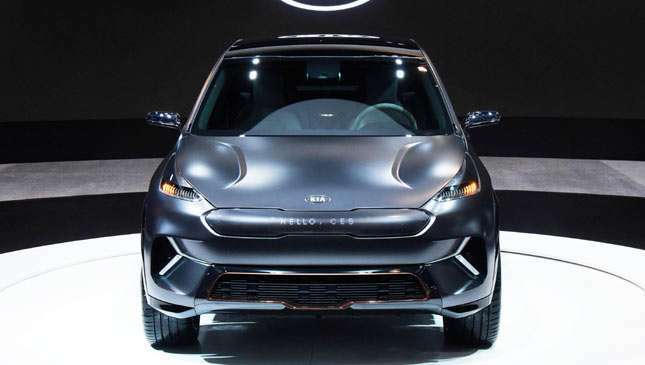 Meet the Niro EV Concept unveiled at the 2018 Consumer Electronics Show (CES) in Las Vegas. 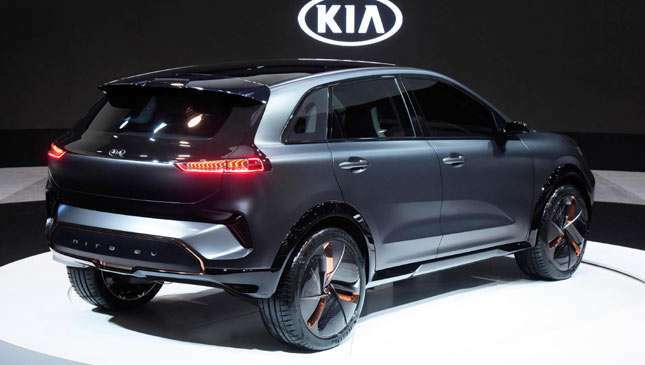 At first glance it looks like a regular Niro with a Tron-like makeover. 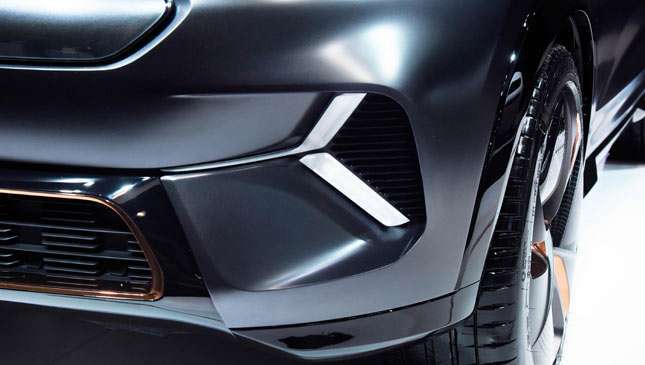 Up front it gets a new face dominated by an interactive display panel shaped like the brand’s Tiger Nose grille, which is flanked by slim headlights. 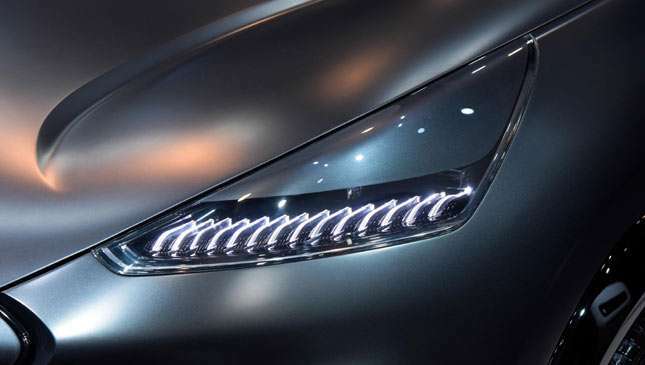 Its restyled bumper gets distinctive Y-shaped LEDs on each corner. Moving on to the sides, the standard Niro's door strips have been ditched and the side mirrors have been replaced by slender units. 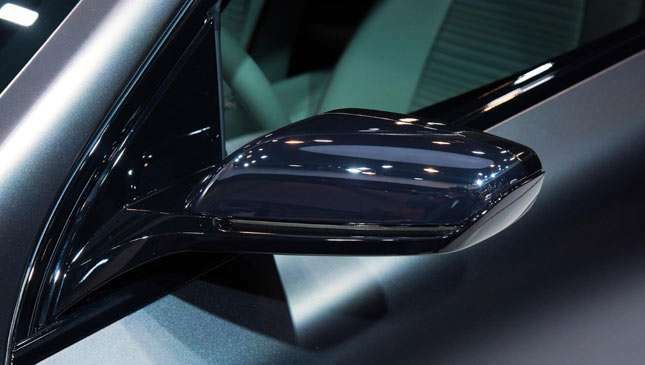 The SUV-inspired lower cladding, which extends to the wheel arches and bumpers, is now painted in trendy high-gloss black. At the back it gets new slim LED taillights and a restyled hatch with a larger glass area, though its actual back window opening is still roughly the same size. 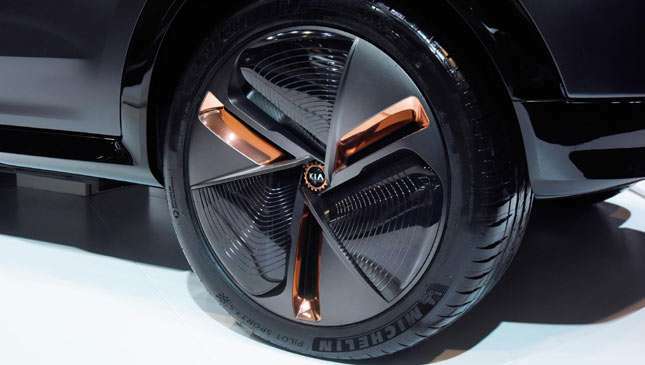 Futuristic directional alloy wheels complete the EV transformation. 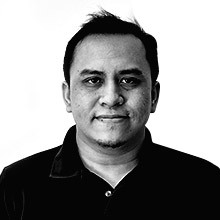 The biggest styling change is inside. 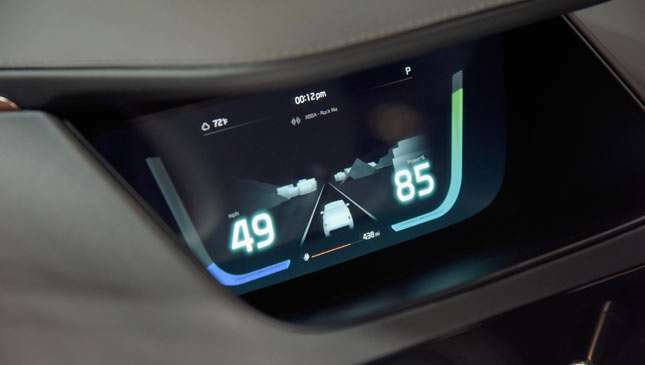 It features a neat, almost Scandinavian-like horizontal dashboard design, which ditches the traditional center stack. The equally simple console terminates just after the rotary shifter at the center to give the cabin a roomier feel. It has a fully digital gauge cluster, and at the center, an integrated touchscreen which eliminates the need for numerous buttons and knobs. 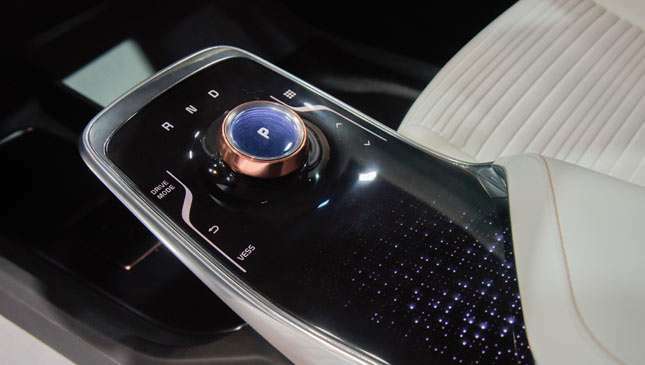 The minimalist theme continues to its two-spoke tiller, which has a touch-sensitive base that takes steering wheel-mounted controls to the next level. 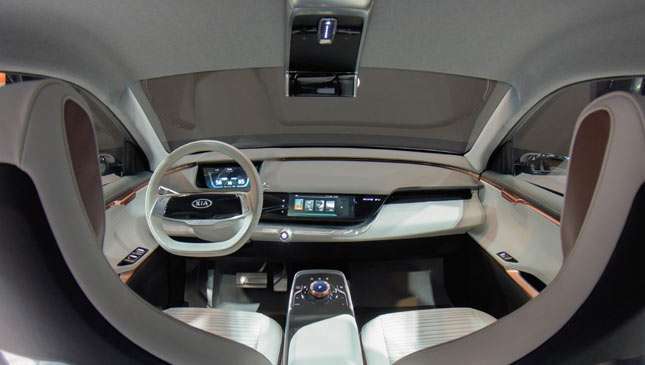 The EV concept features what Kia calls the "next-generation electric vehicle powertrain," which consists of a 150kw (201hp) motor and a high-capacity 64 kWh lithium-polymer battery pack. 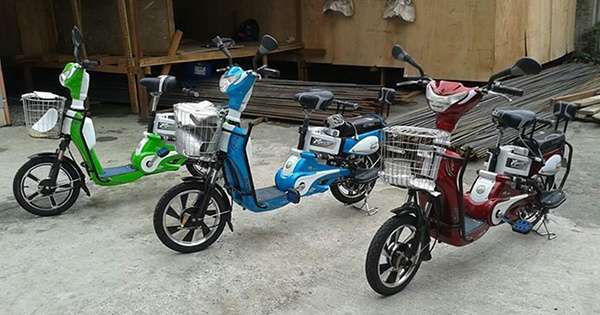 It's expected to have a driving range of 383km. For comparison, the Kia Soul EV has a range of up to 212km. The concept also showcases the Korean brand's new tech features. 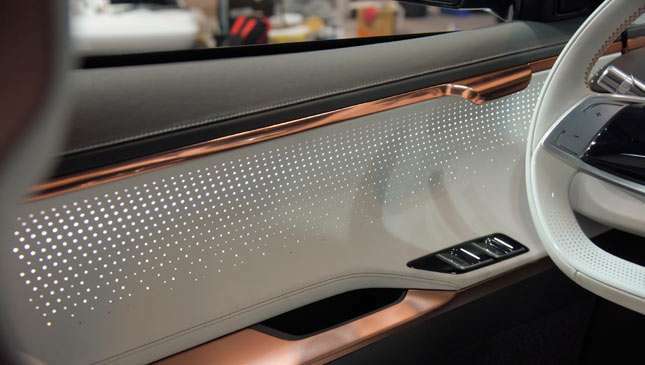 This includes an Active Pedestrian Warning System that alerts pedestrians or cyclists in front of the car, a Separate Sound Control System which allows the front and rear passengers to listen to their own music, and an in-vehicle 5G connection. 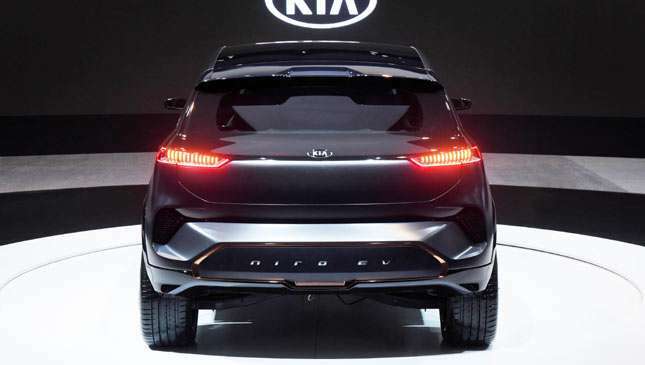 Seeing how the Niro EV Concept is based on a current production model, we wouldn’t be surprised to see a toned down version eventually make it to production.